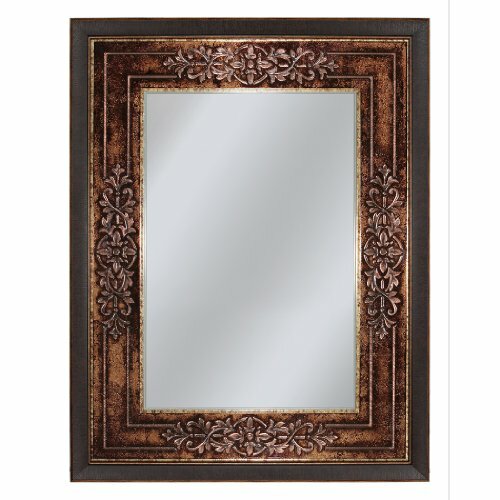 Upgrade your special space with this impressive european styled mirror masterpiece. Bold and handsome, this silk screened design radiates an array of hues in amber, bronze, and gold. The glass surface is enhanced with a thick clear scroll embellishment which begs to be touched. If you have any questions about this product by Head West, contact us by completing and submitting the form below. If you are looking for a specif part number, please include it with your message.